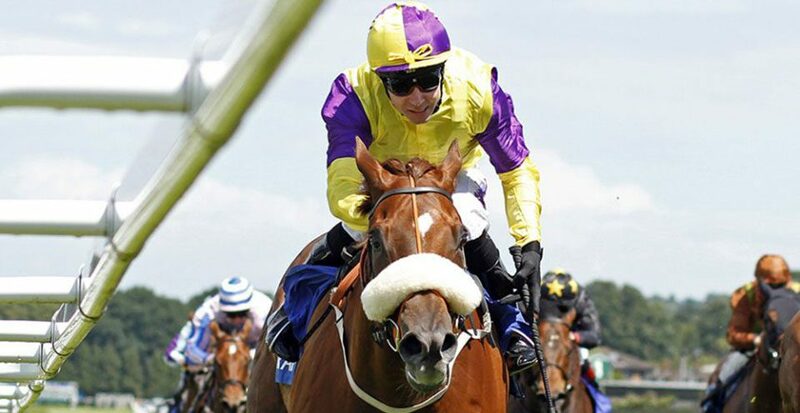 Owner Peter Tingey is hoping Brando can play the starring role in the 32Red Sprint Cup at Haydock on Saturday. The six-furlong showpiece, which carries record prize money of £325,200 forms part of the 35-race QIPCO British Champions Series and has attracted a final field of 12, headed by Harry Angel, who was a brilliant four-length winner of last year’s renewal. Tingey, who owns a fleet of 250 taxis in Barnsley, and his partner, Angie Bailey, have named many of their horses after movie stars and Brando has been the most successful. The imposing six-year-old, trained by Kevin Ryan, has been placed in the past two renewals of the Darley July Cup and, in between, won the Group 1 Prix Maurice de Gheest at Deauville. Brando was unplaced when defending his title in France last month but Tingey says there were mitigating circumstances and believes his overall form gives him solid claims of chalking up a ninth career success. “I think he should be a shorter price than 10/1,” Tingey said. “He’s more or less finished in front of everything in the race at one time or another and hopefully he will put up another good fight. He’s been fabulous over the years and I just wish we could find another one like him. The Yorkshireman believes he also did not get the rub of the green in the July Cup on his penultimate start, where he came with his customary run from off the pace under regular rider Tom Eaves and overhauled all bar front-running U S Navy Flag. He said: “Newmarket were a damn shame. We missed Royal Ascot on purpose, purely to give him him the best possibly chance, and the theory very nearly worked. Harry Angel, owned by Godolphin and trained by Clive Cox, seeks to become only the second two-time winner of the Sprint Cup after Be Friendly, who won the first two runnings in 1966 and 1967. Harry Angel is unbeaten in two starts at Haydock – he has yet to be beaten anywhere other than when running at Ascot – but will be having his first run since getting restless and injuring himself in the stalls in the Diamond Jubilee Stakes at Royal Ascot in June. “I think he’s [Harry Angel] probably more beatable now than what he was last year. Whether we can achieve that or not is another thing,” Tingey said. “It’s whether they can keep him right on the day and all about the run of the race.” Tasleet, who was second in the Sprint Cup last year, and The Tin Man, who was third, reoppose. The former, trained by William Haggas, has finished runner-up in three Group 1 races without quite managing to win one, while the latter, who was also runner-up in the 2016 renewal, is the stable flag-bearer of James Fanshawe and already has two Champions Series triumphs on his CV – the QIPCO British Champions Sprint in 2016 and Diamond Jubilee Stakes in 2017. Sheikh Hamdan Al Maktoum, the owner of Tasleet, landed the Sprint Cup in 1990 with the mighty Dayjur and is also represented by Eqtidaar, the Commonwealth Cup winner. He had Sands Of Mali (second), Hey Jonesy (fifth) and Speak In Colours (fourteenth) adrift at Royal Ascot, but he failed to make an impact in the July Cup on his latest start. Three-year-olds have won the past four runnings of the Sprint Cup and their contingent also includes James Garfield, trained by George Scott and supplemented on Monday at a cost of £15,600. He upped his game in first-time blinkers last time when he was a half-length runner-up to Polydream in the Prix Maurice de Gheest. Frankie Dettori will resume the partnership, but will begin the day in action more than 200 miles away at Kempton aboard five-time Group 1 winner Enable, who makes a belated return to action there. Sir Dancealot, trained by David Elsworth, has also been supplemented after victories in the Criterion Stakes, Lennox Stakes and Hungerford Stakes this campaign. Aidan O’Brien, yet to have a Sprint Cup winner, relies on Gustav Klimt, placed in three Group 1 races over a mile this summer, including when half a length second in the St James’s Palace Stakes. He has only run once over six furlongs, when beaten on his debut as a two-year-old. The field is completed by the Andrew Balding-trained Donjuan Triumphant, who is also dropping back in distance.